When I became pregnant with my first child, I did everything I could to prepare—from research on cribs, bottles, breastfeeding, you name it. Having suffered miscarriages in the past, I was very concerned and anxious about SIDS. I made sure that my daughter’s crib had nothing but the mattress and sheet. I even contemplated buying one of those boards that detects movement and alerts you when a baby stops moving. Once my daughter was born, she slept in the bassinet in our bedroom. I was still recovering from my cesarean, so my husband was there to help put her in and take her out of her bassinet when it was time to nurse. I was very good about following the safe sleep guidelines, but we would sometimes take naps together while I nursed on my side. I knew in the back of my mind it wasn’t the best option, but we were both able to get rest. Fast forward 2 years, and my son is born. Again, I was cautious as I prepared for a new baby: I purchased a firm mattress and was sure not to have any toys, bumpers, or blankets in his crib. I told myself I was going to be much better with following safe sleep guidelines than I was with my daughter. He, too, was born via cesarean, and in the beginning I was very good about not allowing him in bed and always putting him back in his bassinet. When he was about 3 months old, it became harder and harder to follow the guidelines. My son wasn’t sleeping at night, he refused any kind of pacifier (I tried six different brands), and the only thing that soothed him was nursing. Around this time, I returned to my full-time job. I found it easier to nurse him while lying down and returning to sleep. He also seemed to sleep better when he was next to me. I knew it wasn’t right, but I just wanted him to sleep—and I wanted to sleep myself. I tried swaddling, sleep suits, white noise… everything. It’s not supposed to be this hard the second time around, I thought. I’d already been through this; they say the second kid is easier! When he was about 8 months old, I woke up to a boom and a baby screaming: He had fallen out of the bed, and I felt like the world’s worst mother. Luckily he was ok, but it could have been worse. He could have really gotten injured, or worse, I could have lost him. I knew the rules, I knew that babies were supposed to sleep in their own space, but I ignored them because I wanted my baby to sleep during the night and I was exhausted. After my son’s fall, I knew something had to change; my son could no longer sleep in my bed at night. I decided to move his crib from our room into another room, and I gave the pacifier another shot. While sleep training hasn’t been successful, he is now taking a pacifier. Instead of bringing him into my bed when he wakes up at night, I offer him his pacifier if it’s before 3 a.m. If he wakes up again, I stay in his room to nurse him and then place him back in his crib. In addition, I had to make the decision to go to sleep earlier to ensure that I got my rest, too. This got me thinking: What are some ways to help moms follow safe sleep practices after the baby is home? I enlisted the help of nurse Sharon Hitchcock, DNP, RN-C and some fellow moms. Sharon is an obstetrics nurse and teaches at the University of Arizona. She is quite passionate about the topic of SIDS and safe infant sleep as she now knows why most of these deaths occur and, more importantly, how to prevent them (at least most of them). She routinely talks about the American Academy of Pediatrics (AAP) safe sleep recommendations to students as well as parents and nurses. She’s also gotten a recent taste of some of the struggles, as she’s the happy grandma of a 9-month-old! Naomi is mom of 9-month-old Samuel and became a safe sleep advocate long before having her baby. Heidi is almost finished with nursing school and has two kids, 3-month-old Eli and 4-year-old Sophia. Melanie, a mom of three, teaches obstetrics at the University of Arizona and is a childbirth educator at the local hospitals. Night feedings can be exhausting, especially when breastfeeding. What are some best practices to help resist the urge to nurse while lying down? NAOMI: I resisted the urge to nurse while lying down simply because I didn’t want to bring the baby into bed with me. There were some times when I nursed while sitting up in bed, but I also nursed in a rocking chair in my son’s room, just next to his crib, so I could immediately put him back to bed when he finished eating. I’m a light sleeper and didn’t worry much about falling asleep while feeding him, but I’ve heard it’s a good idea to use a timer, like the one on your phone, if you’re worried about falling asleep. 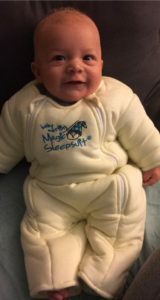 What are some ways to keep baby warm at night without using blankets? NAOMI: Our son was born at the end of November, just when it really started to cool down here in southern Arizona. We kept the room warm and comfortable, and he wore footed pajamas. HEIDI: For both of my children, I used sleep sacks that are available to buy online or in any baby store. They have worked well for me both times. I made sure the house was kept warm enough that they would be comfortable throughout the night. MELANIE: It is recommended to keep the bedroom at a temperature that is comfortable for a lightly clothed adult. Overheating a baby is very dangerous, as they cannot just push the covers off. The risk of SIDS goes down once a baby turns 6 months—is it okay to bed-share then? HEIDI: No. The baby can still roll over and suffocate on the softer mattress, pillows, and thick blankets that we have. In addition to the suffocation risks, I believe that getting the baby into a routine of sleeping in their parents’ bed will be one that is hard to break. Neither of my children have been able to sleep in my bed with me, mostly due to my concern for their safety. I am a hard sleeper and would not wake up if I rolled onto them. I also always wanted them to be able to sleep in their own rooms, once old enough. MELANIE: It is true that most SIDS deaths occur before 6 months, but the infant is still at risk for SIDS until 12 months of age, and adult beds are not designed for infants. Most babies are rolling over by 6 months, and adult beds are usually too soft and have too many blankets and pillows. The other risks include the parents rolling onto the infant or the infant falling out of the bed. My baby has reflux and spits up during the night. Can I place a wedge or pillow in his crib? HEIDI: No. This is another thing that infants could suffocate on if they rolled over. My son spits up a lot, too, but thankfully I knew from my OB class that it was safer for him to be on his back when he sleeps than on his stomach or wedged if he spits up. A baby is less likely to choke when on their back if they spit up because their airway sits above their esophagus (the tube going to their stomach), making it easier for the fluid to stay away from the airway and easier to swallow. MELANIE: The AAP recommends that infants are always placed on their backs and not on their sides. Infants are quite good at protecting their airways while on their backs (unless they have a swallowing impairment, which your doctor would tell you). The U.S. FDA has stated that infant sleep positioners are not recommended as there have been several cases of infant deaths from the use of side positioners after the baby rolled to the stomach position or when their face got wedged into the positioner. Keeping the infant upright on a parent’s shoulder for 20–30 minutes after a feeding can decrease reflux. SHARON: Some parents may think it’s a good idea to elevate the head of the crib to help with the reflux. However, multiple studies have shown this does not help and actually puts the baby at risk for sliding down to the foot of the bed and getting into an unsafe sleeping position. If I nurse while lying down, should I remove everything from my bed in case we fall asleep? NAOMI: This is what the newest recommendations advise you to do. Make sure all the blankets, pillows, etc., are moved out of the way, so that in the event you fall asleep, the bed will be a little bit safer. HEIDI: Absolutely. This is the safest practice if you must nurse while lying down. This is what I did. I also asked my husband to adjust his pillow, and if possible, stay awake with me to ensure that I didn’t fall asleep with the baby. We aren’t perfect, though, and there were a couple of times where we dozed off with him, but fortunately I had alarms set to wake me within 15 minutes of beginning nursing. Once I knew he was full and had a clean diaper on, I set him back down in his crib and went to sleep. Sometimes the baby falls asleep on my chest. It’s recommended that babies sleep on their backs, but since he’s on my chest is it okay? HEIDI: I believe so, as long as you are rested enough that there is no risk of you falling asleep and you are able to monitor the baby while he is asleep on his tummy. I did this a lot with both of my children during the day and think it is the perfect opportunity for skin-to-skin time. SHARON: Make sure you can see your baby’s face (to make sure it is not covered or does not become wedged into your breasts) and you are awake and attentive to him. The only way to get my baby to sleep is if I nurse him; when I go to transfer him into his own bed, he wakes up and cries. Is it okay to let him cry it out? NAOMI: This is a hard topic. There are so many opinions out there, and it’s hard not to get discouraged by all the articles in my Facebook newsfeed that highlight how awful it is to let your baby “cry it out.” It became important for me to consider our circumstances and the fact that every baby is different. I didn’t use the formal “cry-it-out” method for sleep training, but there were, and still are, so many times when I have to let my son cry for a while before he’ll give in and go to sleep. He’s fed. His diaper is clean. He has burped. He’s still crying. He’s not comforted by me holding him close. I’m starting to go a little crazy, and my left ear is ringing from his screams. I know he’s exhausted. What he needs is sleep. It’s okay to place him in his crib and walk away. It’s OKAY to let him cry. I had to learn this early on. It’s made a huge difference. MELANIE: Crying is a baby’s language and the only way they have to communicate. They cry because they are hungry, tired, uncomfortable, and sometimes just because they are fussy and need to get rid of excess energy. If they have burped and their diaper is clean, you can try to console them with rhythmic noise, music, or gently stroking their head. If the baby is tired, they will usually fall asleep quickly. Safe sleep is harder than it appears, at least for some of the recommendations. This is an extraordinarily complex topic, and we know it’s hard. In order to keep your baby as safe as possible, learn the recommendations, start them at birth, do the best you can, and know that you are not alone in your struggle. 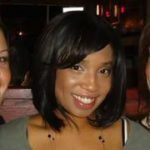 Courtney Duggan is a digital marketing manager in the Washington, D.C. area and is a mother of 2.